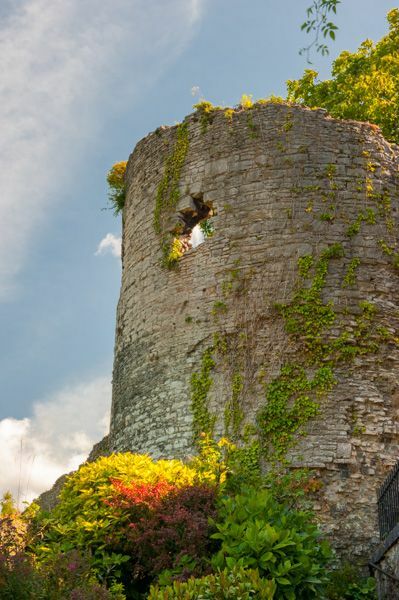 Denbigh's medieval walls are among the best preserved and most complete in the country (perhaps the best example of Edwardian town walls outside of Conwy). The walls encircle the old 'town ward' created as part of Edward I's plan for a new English-dominated borough at Denbigh. The walls were begun sometime around 1282 and were substaially complete by 1284. The man responsible was Henry de Lacy, Earl of Lincoln, one of Edward's most trusted military leaders. 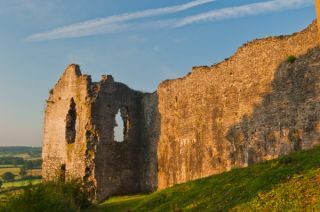 De Lacy constructed a new castle on the site, replacing an earlier Welsh fortress. 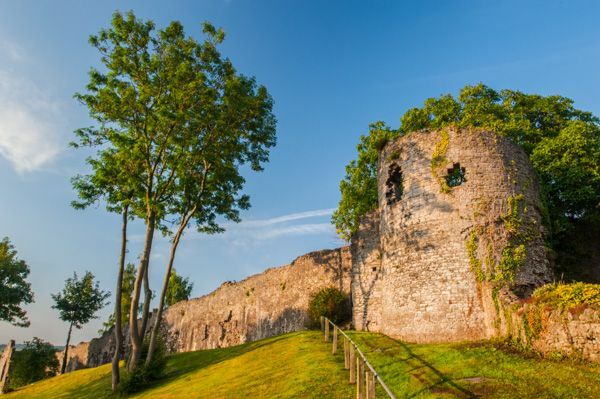 His defences wre fairly rudimentary, but a second phase of building after a Welsh rebellion in 1295 resulted in much more substantial walls, and further enhancements to the castle itself. 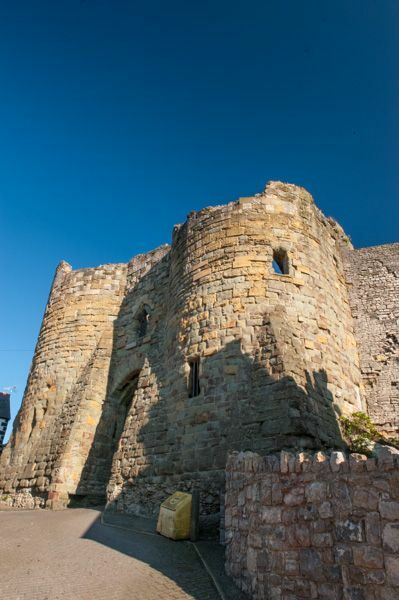 During this second phase of building de Lacy constructed a huge gatehouse protected by three polygonal towers. One of the towers offered accommodation for porters, while another was used as a prison. 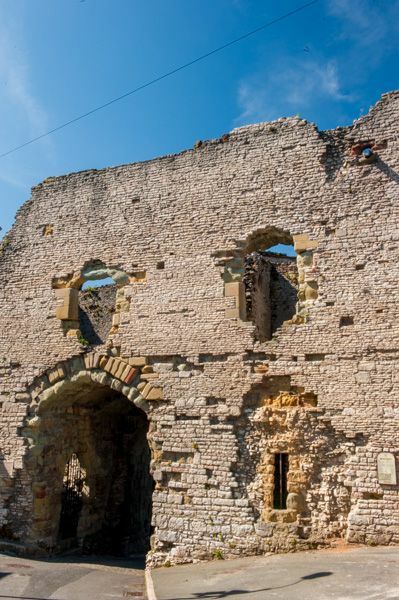 Large sections of the walls are ruinous or non-existant, but quite a bit still remains intact. 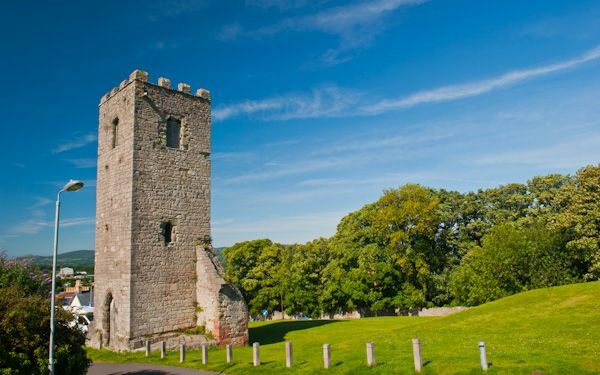 One of the surviving pieces is St Hilary's Chapel, a tower used as a chapel for both the castle and the town. Just behind the chapel stand the ruins of Denbigh Friary, a 13th century Carmelite monastery. The wall is built from uncoursed limestone rubble with sandstone quoins. Thete are several major towers remaining in the walls, including the Goblin Tower, which suffered major damage in the Civil War. This tower still stands to 15 metres in height. 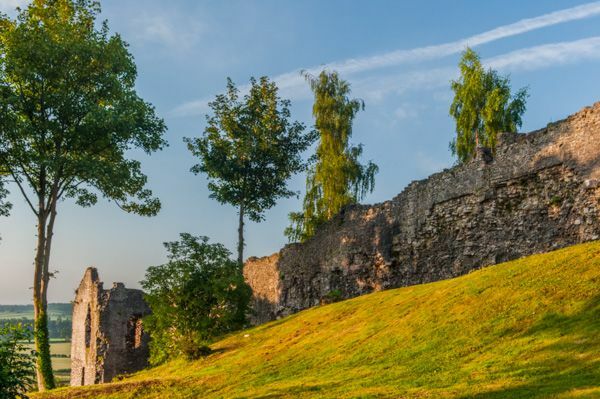 Interestingly, though the walls were built to enclose the town, Denbigh's market was moved outside the walls in 1334, leaving the walls to function as an outer bailey to the castle, while the town developed outside the walls. 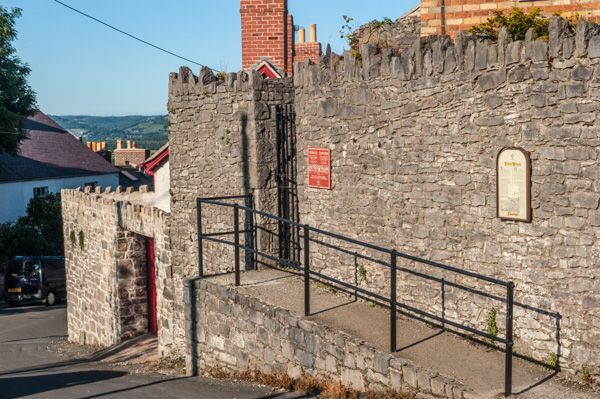 Location: The easiest place to view the walls is below the castle, off Bull Lane and Castle Hill. Keys to access the wall walks are available at the castle and library. 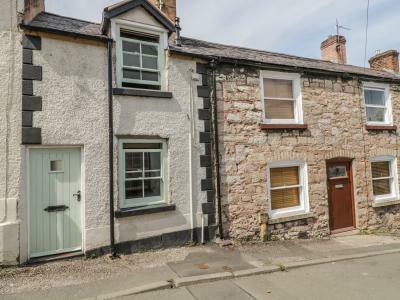 This terrace cottage is in the town of Denbigh in North Wales and can sleep two people in one bedroom. 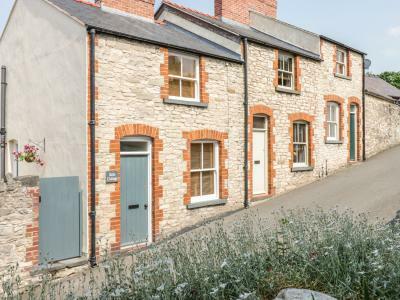 This end-terraced cottage is located in the village of Denbigh, near Ruthin, and can sleep four people in two bedrooms.